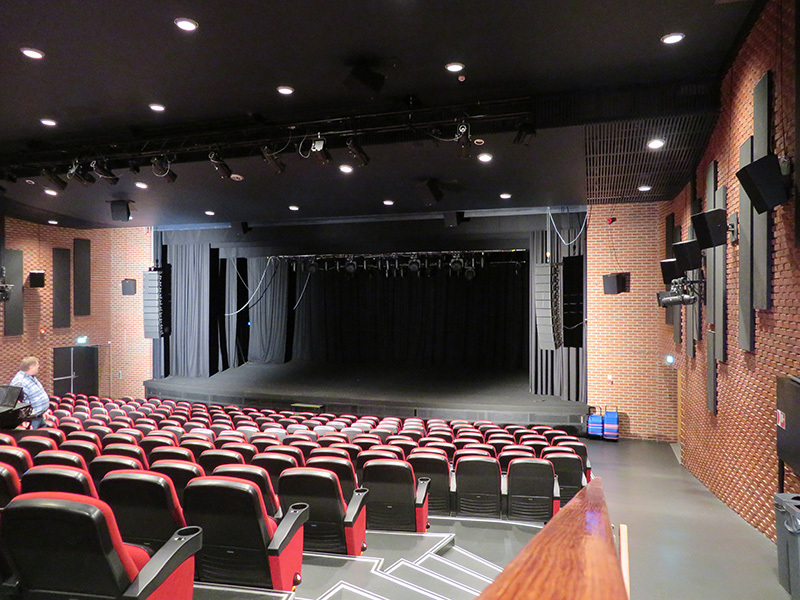 BYRNE, Norway – Norstage provided an EM Acoustics sound system for the 400-seat Storstova Culture House venue in Byrne, Norway. The setup includes 20 HALO-C line array elements in two hangs of 10 cabinets per side, plus six EMS-51s for frontfill. Storstova Culture House is a 400-seat venue in Bryne, just south of Stavanger on Norway’s ruggedly beautiful west coast. Having first opened its doors in 1964, Storstova has hosted thousand of cinema shows and has been home to hundreds of performances of all types. When the time came to renew the sound system, owners Time Kommune turned to pro audio specialists, Norstage, who supplied and installed a complete EM Acoustics system based on the compact HALO-C line array system. Norstage installed a total of 20 HALO-C line array elements in two hangs of ten cabinets L/R plus six compact EMS-51s for frontfill. The venue also has a Dolby Atmos surround system which can be piloted from the DiGiCo SD5 at FOH for immersive sound applications.